Are you satisfied with your website results? Is it bringing in steady, consistent traffic? Are your visitors converting into customers? If you find your website is not performing to its full potential it’s time to perform a comprehensive review of your website to make sure you stay competitive in the digital world! 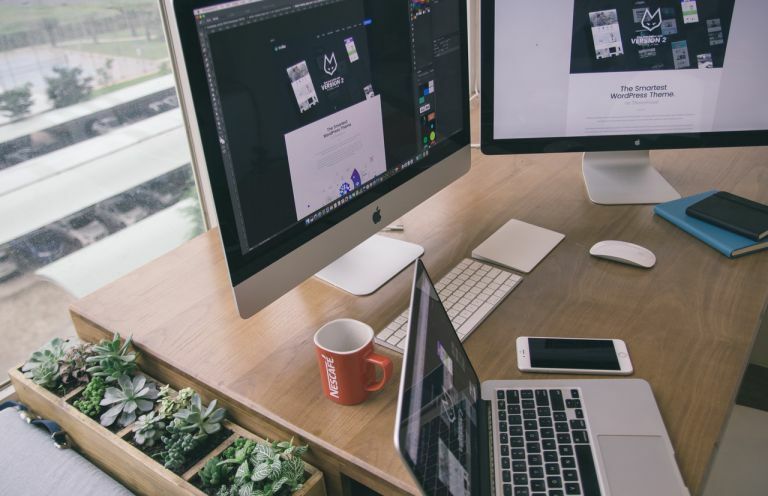 Whether you’re just getting started or you’re looking to improve your website and increase visitors, here are seven key areas to consider to ensure your website’s effectiveness is maximized. Mobile is taking over! Over 50% of all internet traffic worldwide is viewed through mobile phones or tablet devices, there is a huge benefit to designing and catering your website to mobile users! Furthermore, Google is placing huge emphasis on mobile, optimizing its search results for mobile and boosting sites that offer a good mobile experience to users, while penalizing those that don’t. Consider what your audience would like to see first if they’re browsing on the go via their cellphone. Do they need your location and directions? Do they want to make a reservation? Are they looking for reviews and testimonials to back up a booking decision? By taking the time to review these questions and making appropriate changes your site will in turn be the most effective for your users, specifically for your mobile users and for your business in general! Improving website security is by far one of the most important aspects of having a reliable website. It is critical to keep your website’s content management system (e.g. WordPress, Joomla etc. ), website theme, and all plugins up to date with the latest versions. There is also a strong push towards running websites completely under HTTPS (using secure SSL protocols). This requires having a digital certificate in place on your website, and making sure all pages on your website use it, not just a reservation or login form. Google is encouraging sites to do this and many browsers have already started drawing attention to sites that are not secure by displaying a warning icon next to the URL. In addition to a secure website, it is recommended to protect your website by using a website firewall. This is usually an added service, but is definitely worthwhile. You can see a lot more about his subject in our blog post about protecting your website from hackers with a website firewall. If users notice that you barely ever update your content, they will not find your website reliable or very helpful and are unlikely to return on a regular basis. Make sure you keep them coming back for more by providing relevant and timely information. Establish your credibility through your content and turn visitors into customers! This is especially important on high traffic pages (i.e. the ones that are your most popular, visited pages). These pages in particular require high quality content. A website without up -to-date information is likely to lose credibility quickly. Also very important to point out is that without original, self generated content your search engine rankings and therefore online visibility will decrease. Post content on a regular basis, give your audience something valuable and useful for them to look out for! Good presentation, layout and navigation – the overall style and look of your website is crucial. No user enjoys looking at a cluttered and confusing web page. A properly planned site places what your users are looking for front and center, and makes it easy for them to navigate through the site and find the information they need easily. Calls to action – pages on your website should have clear calls to action that clarify to users what the desired end is, such as “Book Now!” or “Request a Quote” or “Sign up!”. These encourage visitors to engage with the website. Colors and positioning of such calls to action, e.g. in the form of buttons or links, have a big impact on the amount of times people will click on them. Testimonials – With the popularity of sites such as TripAdvisor for traveler reviews, Yelp for restaurant reviews and Google Reviews for a variety of businesses, it is almost a given that people will seek reviews and user testimonials to reinforce their decision to use your product or service. Potential clients want to hear from others like them who have used your services, so it is very important to make sure your reviews are easy to find. Contact form – In addition to reviews and testimonials users often look for a “Contact Us” page, a quick and easy way to reach the business and receive an answer to their inquiry. This should also be easy to find and the form should be kept simple, asking for the minimal essential information so as not to discourage users from filling it out. Social media links – Encourage visitors to engage in your social media channels by including social media follow buttons, which allow your visitors to “like” and “follow” your official social media pages. You can also include social media share buttons, which allow users to share your website or content on your website with their social media friends and followers. Incorporating social media on your site is a great way to grow your following and also to share content. Especially when using cross-platform promotion, so be sure to link to your official website on all of your social media channels (Facebook, Twitter, Instagram, etc.). It is very important that your social media posts link back as much as possible to relevant pages on your website. 5. Speed up your website! Cheap hosting looks great on your credit card bill, but in this business you get what you pay for. Having a serious hosting company with fast, reliable servers is the first basic step to making your website fast. Furthermore the website design approach and underlying structure have a big impact on speed. An optimized website (for both mobile and desktop) is essential not only for a positive user experience, but also for search engines. For example speed is a ranking factor with Google and your site may be penalized in search results if your site is slow. The poor experience for the user also leads to the user exiting the site. Perhaps a user wants to make an online purchase or make a reservation however the page is hanging and is not loading fast enough, resulting in the user to exit the site and look elsewhere (most likely your competitor). If your website is slow or goes offline often, you lose credibility, potential customers and sales. This also ties in with the website firewall aspect, because since the firewall will filter out unwanted, irrelevant traffic, your site will be faster as a result. Although time-consuming, great benefit can come from paying attention to how your website is performing, making appropriate adjustments and measuring the effects. Google Analytics is an excellent free tool that will give you great insight into the traffic your website is receiving. It gives you a breakdown of where your visitors came from (so allowing you to determine which sites are most beneficial to yours, which Google keywords people are using to reach your site), which sites referred them (and also which advertising campaigns worked best), how long they stayed, and which pages were most popular, and whether they took specific actions on the website (e.g. made a reservation, used your contact form etc.). Very importantly Google Analytics allows you to see changes which could serve as a warning (e.g. a drop in traffic) that something needs to be addressed. If you don’t have the time to do this yourself, invest in website support to provide monthly website statistics that give you insights into how the site is performing. Experts use specialized tools to measure things that you didn’t even know were measurable, and which provide detailed insights into visitor behavior. Search Engine Optimization (SEO) combines several activities and techniques that together affect your ranking on search engines. SEO is important because a higher ranking (preferably in the top 10) means more traffic, whereas a without good SEO could land your website on the second, third or an even lower page of search results, meaning that it is to all intents and purposes practically invisible. Good SEO starts with your website design. Just by addressing the areas covered in this article will contribute to better SEO and better overall ranking for your website. We hope this article has given you some guidelines as to several aspects that need to be considered to improve your website’s overall performance. By improving your website in a planned and efficient manner, you will stay ahead of the curve and avoid being overtaken by competitors! If you want to take action and are not quite sure where to begin or simply cannot find the time, please contact us to address your website support and improvement requirements. We are more than happy and to assist you to maximize your website’s effectiveness!